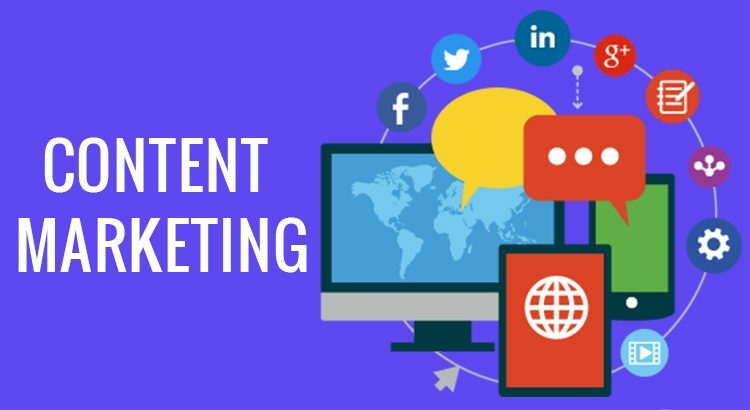 Content Marketing’s popularity is going through the roof and there are reasons why it’s relatable with the present scenario. Nowadays, there’s a trend among businesses to race against the clock, because they are trying to filling the gap by connecting with the potential audience and fulfilling their needs. Agreed that there’s no right time to start anything. The best time is ‘NOW’ or when you are ready. Despite having so much B2B and B2C data available, marketers mistake to set the unrealistic expectation and result in poor performance. Let’s talk about the myths that often cloud companies’ environment, derail their entire campaign, thrash their dream and mist their hope with unseen barriers hitting them hard. You are filled with energy and enthusiasm to create evergreen content. Your mind is overloading with so many content ideas that seem revolutionary at the end of the day. Know that we have no purpose to knocking you down by telling the things, which you might not want to hear, because you are too busy in your dream castle having the best of your life. Nor I have any canon aiming your dream castle. I am here to talk about the mistakes made my many marketers, resulting in a failed campaign and what not. We, as marketers’, often delude ourselves of creating content every single day – amazing content that speaks volumes. Is it possible to mince words that are too remarkable to be ever produced before on a daily basis? NO. A good content demands time. Period. Creating really amazing content is truly hard. If it would be easy, the net would be filled with graceful information and Google would not have to work hard on its algorithms’ for better user experience. Not every English speaking person is a writer. Instead of worrying the quantity of content creating, your main aim is to provide value to the readers. Why would anyone want to visit your site and waste time for not getting the information or solution they are looking for? It can be a video, a mini blog of 300-500 words or even a social media post. Until you don’t provide any good information, your chances are slim to find a better audience that engages with your brand and do word-of-mouth marketing. Since it’s truly hard to create a high-value content on a continual basis, you can formulate certain ideas discussed to enhance your content status. Many marketers, writers, and SEO experts etc. misuse the content term, as they continue content creation to extend their website’s outreach. It’s like damaging your image with a sledgehammer. No. It never works like this, until you aren’t big like BuzzFeed Company. There are sites, however, that do create content on a daily basis: TechCrunch, Content Marketing Institute, Mashable, Diply, Search Engine Land, UNILAD, The Lab Bible, 9Gag etc. It doesn’t mean you start following the path of big media houses that have good amount of in-house employees working constantly to produce at least one quality content per writer. If your manpower is less, then your goal should be to produce quality content; a reliable content source akin to people’s needs and demand. For instance, you write on Web Development, Web Design, Magento Development and Online Marketing on a daily basis. Your produced content, however, doesn’t have real time stats or information to help readers in expanding their knowledge reading the particular domain. You think by creating fresh content, Google will help you. Yes, it will boost your ranking, but the quality of content will eventually decide your fate when it’s founded by the readers. When they switch, bounce rate starts increasing and Google starts giving your position to someone more deserving. Hence, it’s better if you spend time on perfecting your writing craft, rather than worrying on publishing tons of content. It doesn’t matter how many films you have written, if they are worthless, nobody will consider you a great filmmaker. Make one, just one, that touches souls and melts the hearts – you will be regarded with great respect and A-list filmmaker status. Getting your content liked and shared on social media is one of the most challenging tasks in front of the modern marketers. People only share content having some real value and specific key elements: Entertainment, Educational, Easily-readable, Value-driven, Statistics, Pictures and Video etc. Since billions of people are using social media and companies are using the different channels to create awareness, it’s a no hidden factor about the quality of the content that matters at the end of the day. It all sounds easy to do, but the reality is different often. Open your eyes and see the exciting opportunities surrounding you to grow your business on different social media accounts: Facebook, Twitter, Instagram, Snapchat etc. In reality, barely any of your content will make social media twitch because you are just promoting it within your social media or among limited followers of your brand’s social pages. You don’t understand the importance of native advertising and wonder the ways to go viral or shared by the potential audience. 1. Promote content on social media every now and then. 2. Spend time on creating social media campaigns. 3. Boost your social media post/content/page. Learn the tricks for better native advertising ROI. 4. Participate in groups/forums, like Facebook groups, or on Quora and answer questions with most reliable solution. Remember that it takes the time to grow trust. That’s kind of quite a natural thing to go from. The arrogance is the root of self-destruction, and when it adds in your marketing campaign, you are like to go down the road, with little to no positive result produced. Remember that there’s a huge competition in every field. In layman’s term, nearly every market is highly competitive. If your rivals are producing a different type of content: videos, podcasts, blogs, emails etc, it doesn’t mean they are doing it wrong. Until and unless, they are following their industry norms and creating value-driven content with a wee bit of native advertising blended in their campaign, they probably can outrun your campaign to success. Doing differently doesn’t mean its right. You need to cross-check your campaign to see what mistakes are being committed by your team that’s not producing the hopeful results. Until you don’t provide the information your audience is looking for, nothing ever great will be done by your limitless efforts. If you have acquired skills in triggering emotions in the audience about your content, then you are doing some justice to your marketing efforts. Know that not everyone is going to love your content. You will face certain types of emotions writing to you in the comment section. Some may write an entire blog in a response to the points they completely disagree with and covering the wide aspects that your article missed. While it may seem unnecessary to you, but it’s relevant to some eyes and it’s perfectly OK.
You can‘t build a castle expecting every people not to comment against your views. It’s like defying all the odds in your favor. Nearly impossible to do, because many heads means many thoughts. If you are online, chances are, people will give their mix responses to your content, even if the video is of a dog saved from drowning. You may find some negative comments, pointing out human’s greed for dog’s misery etc, etc. While your first piece of content gets a mixed response, your next content piece makes people think, because it’s actually a thought provoking write-up. You worked equally hard on both pieces but achieved different results. The answer to the problem lies in understanding your audience segment. What type of audience do you have and their temperament when something doesn’t fit in their level of intellect or contradict with their view of seeing the world. How negative or ruthless they can, when you serve something opposite to what they had expected. Yes, a polished content increases your readership, but it comes with a price tag. A good editor is worth thousands of USD annually, and if your budget doesn’t allow hiring one, then you have nothing to worry because it certainly isn’t necessary to have a polished content to be successful. Now you can’t spend weeks on one piece of content because you are too busy to collect certain stats from your contacts working in big companies or exploring the web? Certainly, your content should strictly adhere to quality parameters, but having too much polished is not always necessary for success. What you can do it to work on a content side-by-side and take a good amount of time to publish it as a whitepaper or as a mini eBook. It might sound contracting to what I mentioned above, but there’s a difference between using too many stats and publishing a long-form, like 5000 words minimum article and publishing a 500-100 blog with not much stats, yet filled with good information and is entertaining. How can you know which is the best content and at which location? Obviously, the first place to post your article is on your website’s blog section. However, it’s not always the best to say the least. Until and unless, you aren’t generating a huge amount of page views, there’s nothing beneficial ever gonna come out from this type of practice. You will put your efforts in vain and all your hard written content will die without producing any real benefits. If you can, then it’s always beneficial to collaborate with other marketers to publish a piece of content on a big media brand to bring real-time visibility and relevancy to what you are writing. Many bloggers have admitted to seeing 20-50% times more traffic when they published a blog on someone else’s platform. If you are doing it perfectly, you will see revenue going through the roof and sales rolling whenever you publish a new content. To reach there, however, you need a perfect marketing strategy that can resonate with your current working abilities and layout the best plan to execute while pursuing your overall business goals. Just know that it’s also very hard for major brands, either, to increase their revenue as soon as they hit the publish button of the content. With time, they may eventually become your lifelong customers and regard your brand as the utmost over your rivals. Earning a strong fan base is an unmatched reward for the successful business. To understand the process better, look at the fan base of Apple, Inc. It’s always iOS vs Google Android. Apple officials don’t need to clarify why certain things were ignored in the new iPhones, like ear jack from iPhone 7, because they have a huge fan base that advocates them on their behalf and influence others with the word-of-mouth marketing. Content marketing is the game for patient people. Only a professional marketer understands to not expect revenue from every new content published. Some parts of content are specifically constructed to have new series for the future and they may not generate anything, or they can spontaneous hit. Yes, it’s partly true, but it doesn’t apply in every situation. You can’t compare orange with apples and expect the same result at the end of the day. Both have different content and it’s the reason they taste completely different. Similarly, short-form and long-form content are completely different. Both have their relevancy in the market. Since Google has become smarter, it doesn’t mean your long form content will bring relevancy to your website. If you merely writing a 5000-word content just for the sake of filling the space, you are doing it wrong. Nowadays, Google is switching to understand the user experience and how much relevancy you are providing within your content for the readers to utilize in the best possible way. Upworthy.com has shown how one can rank with less 100 words articles in the search engines, even for the most competitive keywords in the niche category. The company showed how it’s possible to generate millions of views with small form articles. All you need to write as per the relevancy of the topic and don’t exaggerate or add extra just to add words for the longer form version. Gone are the days when it used work. Google is not what it used to be and some of the finest brains are working for Google, who understand what users want and make changes in its algorithms to stabilize the standards of Google search results. Just keep the human touch in your articles. You will see a huge growth rate when it starts matching the frequency of your readers. Not everyone can do content marketing when they have no clear insights of its working. This method works best when your goals are for the long run and you don’t stumble down to not seeing benefits as soon as you publish a piece of content. Set realistic expectations and don’t match your progress with your rivals. Every business’ working environment is different and it’s useless to keep envying others. It harms your own business goals in the longer run.